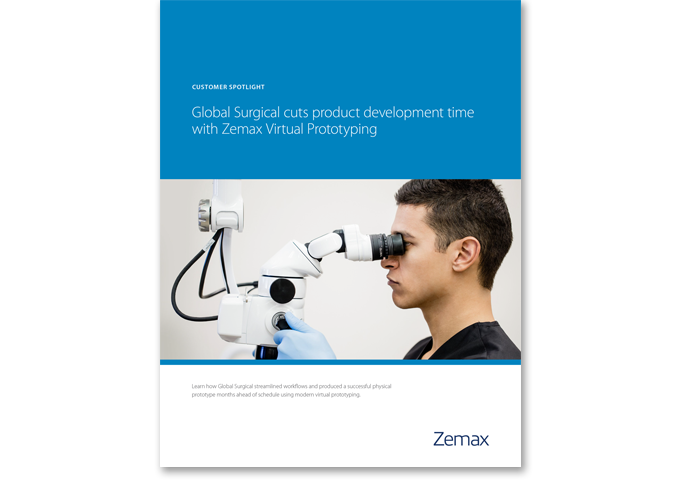 Global Surgical streamlined workflows and produced a successful physical prototype months ahead of schedule using modern virtual prototyping. How this world leader in microscopy set out to redesign a set of symmetric eyepieces to increase the field of view and enhance usability, while maintaining or reducing costs. How the engineering team created a high-confidence virtual model early in the design process and the first physical prototype they created was a big success. Why OpticStudio® and LensMechanix® will be the standard way Global executes projects from now on.